Hi all! 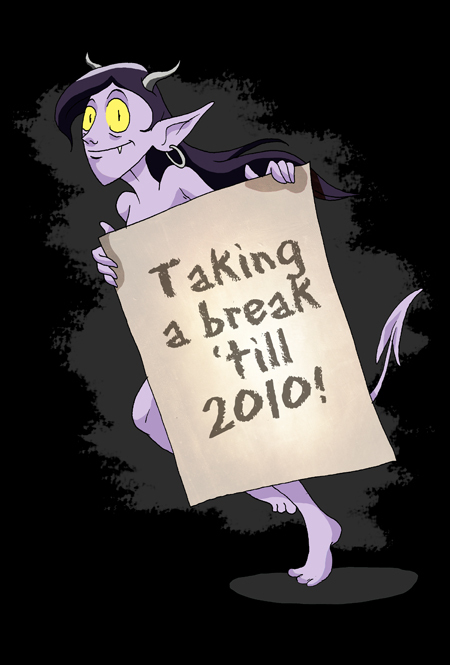 I'm gonna be busy the next couple months, so rather than boring you all with half-assed comics, I'm taking a break until January, 2010. This will give me time to think up some new story ideas and build up an archive (at least that's the hope). ...In the meantime, I will be posting occasional splash pages for holidays and such.